← Are You Stuck in Your Old Branding Strategy? Writing a blog is more fun if you know someone is reading it, right? Well, if your blog has become an important part of how you do business then blog subscribers are also a big part of your company’s success. Keep your bounce rate low. Simple navigation can help keep your bounce rate well under two-percent. You don’t need complicated and fancy navigation or assisted research with major drop-down menus. Focus on the easy-to-use navigation bars. Visitors want to feel comfortable when they visit your page so don’t over complicate it with fancy ones. Also, remember to publish a few blog post excerpts on your home page to drive more traffic. Capture emails with a pop-up. Experts have found that this is an active way to not only gain blog subscribers but reduce bounce rates. To add a pop-up simply search for “email light box” plus your blog host or email newsletter service. Some popular links to start with are WordPress, Blogger, AWeber, or Mailchimp. Loading time should be optimized. This is a big one. Blog subscribers, as dedicated as they may be, will start to drop off if they have to wait. Google may also penalize you in rankings if your load time takes too long. To keep things in perspective, one second of load time equates to seven-percent drop off. Everyone wants to be a VIP member. The best part of joining something is the perks. Blogs should be no different. You should make a point to offer special incentives to your blog subscribers. Something as simple as a freebie or exclusive content is enough to keep them coming back. Give multiple opportunities to sign up. 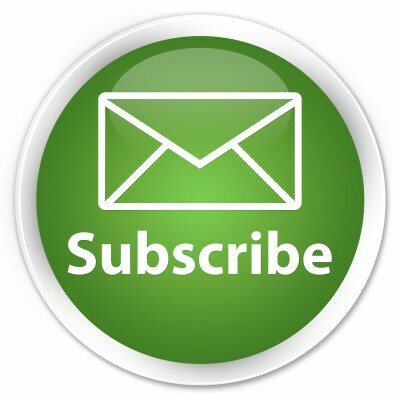 You may be missing the boat if there is only one way to become a blog subscriber on your website. Consider the possibility that many visitors won’t see that particular form. Instead of a form on the main home page, add something to the end of every blog post or page. It’s all about how you say it. It’s been proven time and time again that people respond to different wording in different ways. For example, potential blog subscribers may be put off by “download now” versus and action phrase like “get email updates”. They both will get the same results but in the eye of future blog subscribers they mean two totally different things. Feature box or pop-up box. If you’re not a fan of the pop-up box then take a look at the feature box. It’s a less intrusive way and more customizable. This is a great way to offer one of those freebies we talked about earlier. If you’re looking to increase your blog subscribers and aren’t sure where to start, contact us to start implementing a few tricks of the trade. This entry was posted in Blog Writing and tagged blog, blog subscribers, blogging, blogs, bounce rate, email marketing, marketing, marketing strategy, social media, social media strategy, social media tools, Susan J. Campbell Copywriting Solutions, tips for your blog, WordPress. Bookmark the permalink.